Are your pharmacy students ready for the PCOA? 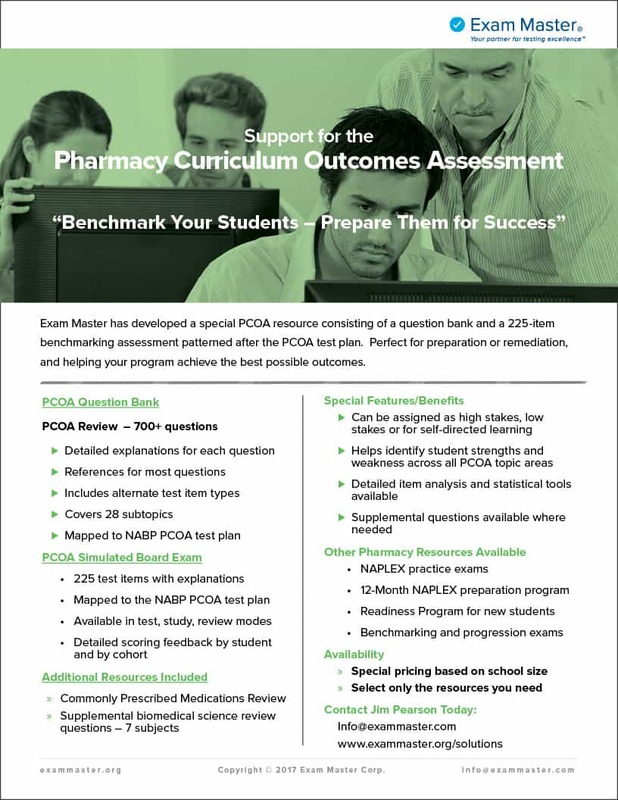 Exam Master has developed a special PCOA resource consisting of a question bank and a 225-item benchmarking assessment patterned after the PCOA test plan. Perfect for preparation or remediation, and helping your program achieve the best possible outcomes.